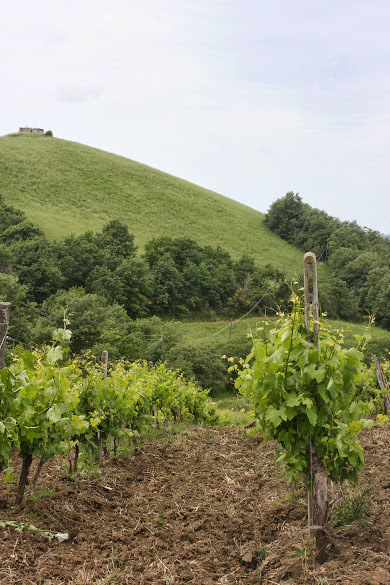 The most intriguing thing about organic wineries apart of production standards and grape varieties, are the people behind them and the reasons why they chose to go green in Tuscany. Milan born Antonella Manuli runs the La Maliosa winery in Southern Tuscany according to organic and biodynamic principles - not the first thing you'd expect from somebody who left Italy to study for a degree in business administration in the US. Antonella was managing director and later president of the Terme di Saturnia Resort until she decided to dedicate herself entirely to her Tuscan vineyard, her two kids and the winning of the odd golf tournament here and there. I come from the business world, but I made a personal and ideological choice to create La Maliosa in a land that I love. Why your particular DOC area? Any interesting facts and figures about your Tuscan wine making region? I didn’t choose to buy La Maliosa for its Doc area, but for its beauty and unspoilt environment. Pros: authenticity in all steps of production, but it is most important at the soil level because it strongly influences all the following production. Cons: many wineries don't consider the health and balance of the soil in their vineyards enough. This is also the most difficult aspect to deal with, as it entails higher costs of production, and requests expertise which is not easy to find. Organic wine, biodynamic agriculture and vin naturel – where are you positioned in the jungle of organic and natural wine making? We define our wine as natural artisan wine and are certified biodynamic (Demeter). What was it in the first place that made you leave the conventional road and choose the organic and biodynamic approach instead? Because I love this land and I want to respect it, but also because I believe that there will be an important growth of knowledgeable consumers, who will be able to recognize the quality, taste and origin of certified Italian organic products. Most of us relate organic agriculture to the absence of pesticides. What else are you doing differently in the vineyard and wine cellar compared to a conventional winery? Organic agriculture is foremost clever utilization of resources in their complex balance. So we respect the natural phenomena that happen in the vineyard and find harmony between soil, vine and environment. The wine cellar is not as critical, because it’s only an elaboration and care of a product that is already made. We do not add or subtract anything in the cellar. Five words to describe your wines? Healthy. Terroir. Varietal. Complexity. Enjoyable. As a first step, we currently concentrate on Tuscan grape varieties. In the future we will broaden the genotypes of the grape varieties. Are you part of your Doc areas vintners association (Consorzio)? Why, or why not? No, we don’t belong to a Consorzio. La Maliosa wines are not Doc but Igt Toscana. A favorite vintage or one that has been under- (or over-) estimated? A food and wine pairing you keep coming back to? Red wine and assorted Tuscan cheeses. Any suggestions for travellers looking to get to grips with Tuscan or Italian wine before coming here? They can assist to a briefing by Lorenzo Corino. Any food for thought for people who’d like to learn the A to Z of natural wine? Always observe the natural environment where the wine comes from and the complexity that it will derive from it. Maremman restaurants, bars, wineries - where can you be found hanging out? A walk through an Etruscan Via Cava near Pitigliano. My secret places are all in the wild Maremman countryside. My favorite seaside is in Formentera, Platja Mitjorn. Are you a museum goer? In Maremma I like the Museo della Vite e del Vino in Scansano, but for a throwback into ancient history, go to the Etruscan site of Ghiaccio Forte near Scansano, and enjoy the sound of the wind blowing and the breathtaking view. A Tuscan town, food or sightseeing attraction you feel is overrated? I cannot think of any, I like everything about Tuscany. Since I live in Milan, I would love to spend a few months of the year in Tuscany (in the Maremma of course). A summer festival or sagra (village food fair) you're never missing out on? La Sagra della Polenta in Catabbio in August. Leave them free to run in the fields and explore. Your favorite Tuscan hot springs, churches or roadside bars? World famous Terme di Saturnia. A Tuscan producer, Italian wine region or rediscovered grape variety that we should watch out for? Keep an eye on Ciliegiolo. I'd like to create a tourist destination linked to biodynamic farming and the possibility to experience a natural lifestyle. Anything else, you'd like to add? My bees which were hardly expected to produce any honey at all, being in the first year of production, made 200 kg of honey! I guess they thanked me for the respect they received in the unspoilt fields of La Maliosa. Any recommendations for people who’d like to visit you? Always call for an appointment in advance, farm workers are usually in the fields. Last but not least - an Italian book, blog, film or piece of musicart), that will take the average traveler straight into the heart of this messy boot called Italy? Music: All of Andrea Bocelli’s songs. Not only is he Tuscan, but also a loyal and frequent visitor of the Terme di Saturnia Resort. Find out more about the history of the Maliosa Winery and about its white and red Tuscan IGT wines. Fattoria Maliosa also produces a fabulous extra virgin olive oil and, as you've read, plenty of Tuscan honey. And make sure you take the time to watch Clint Eastwood going organic in the fun introductory video on Maliosa's website.